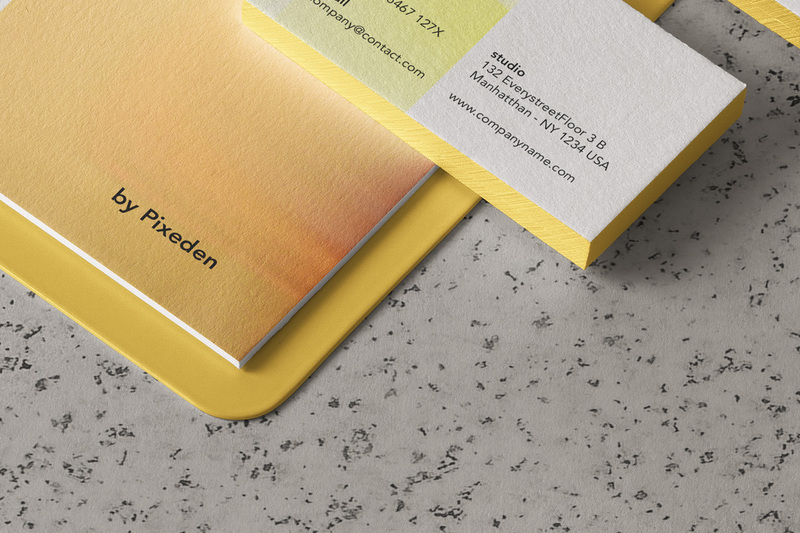 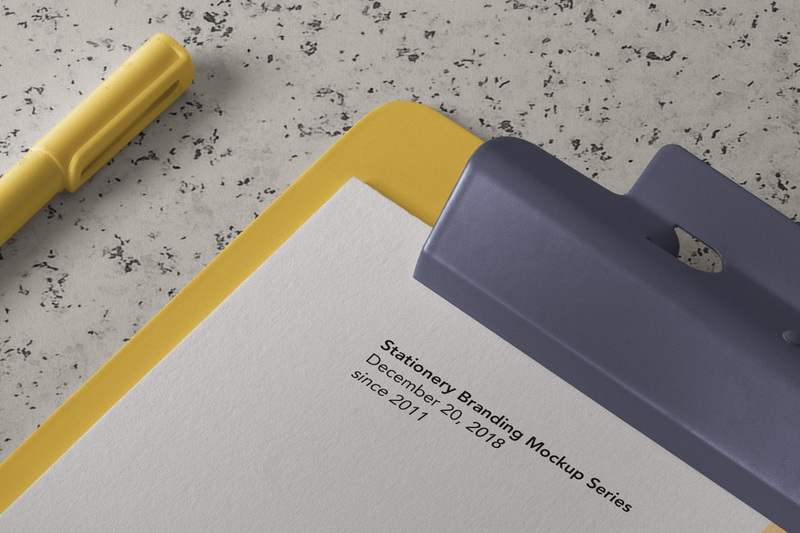 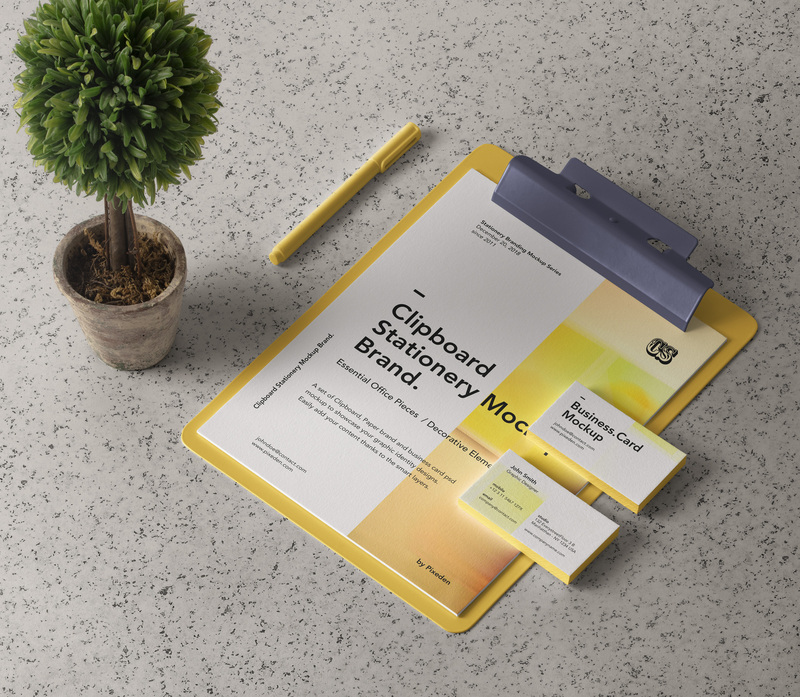 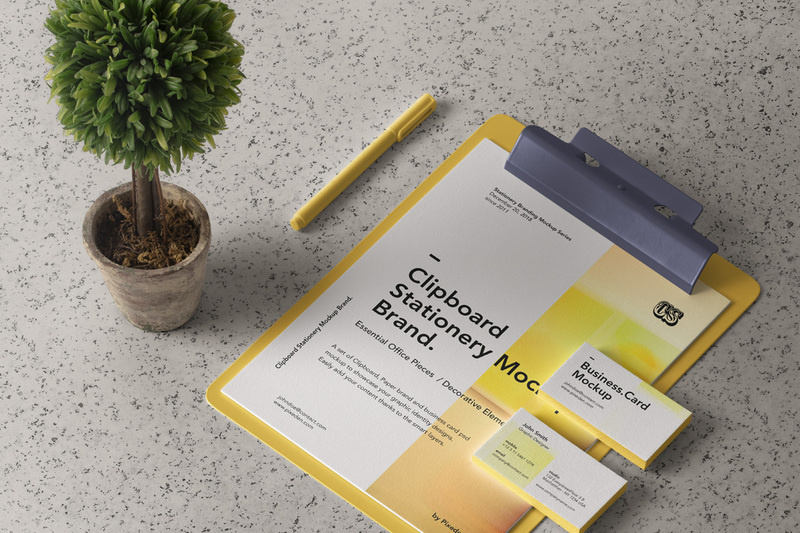 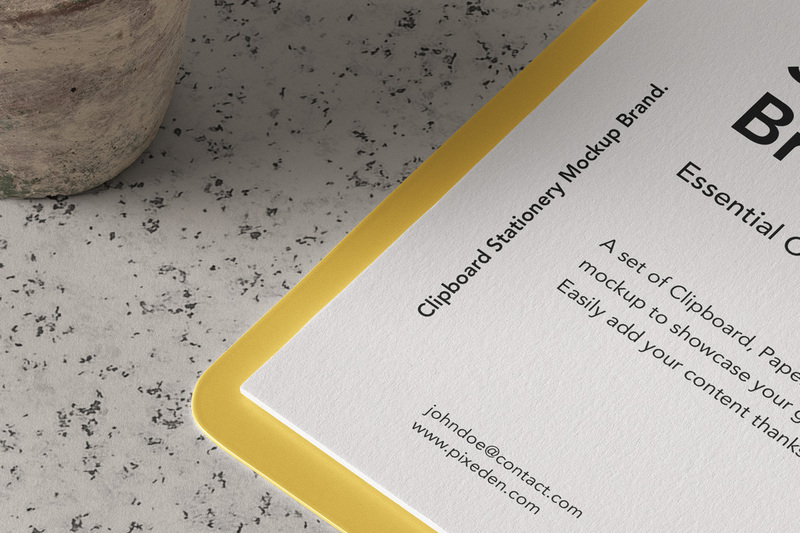 A set of branding item mockup including a psd clipboard and business card. 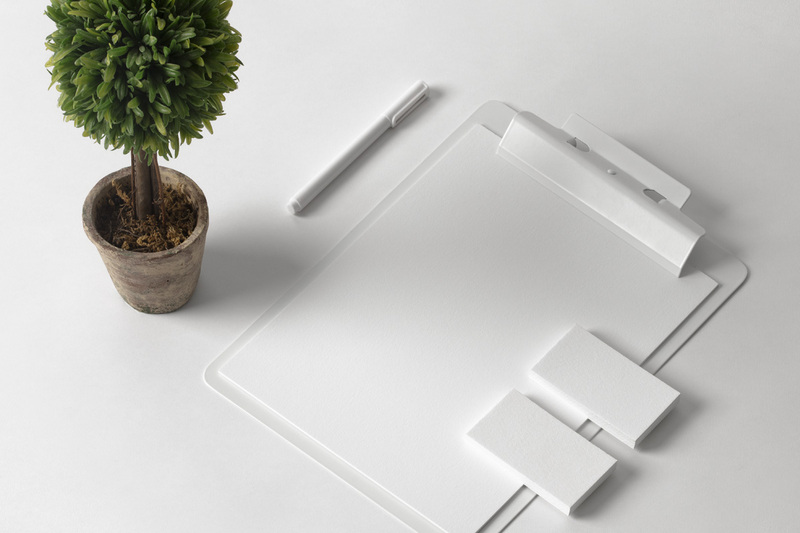 We also added a pencil and decorative plant. 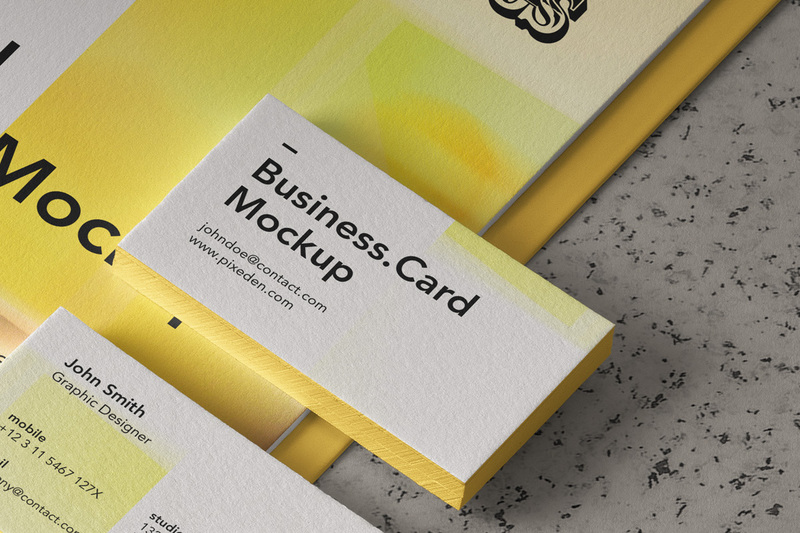 You can add your own graphics with ease thanks ti the smart layers.